For the first time in six year, dancers from Kick Dance Schools in Fair Haven and Rumson competed in the Backstage Performing Arts Competition national finals held July 15-18 in Hershey, PA. The “Give Him a Great Big Kiss” routine, a musical theater/acro theater performance, placed first overall in the 10 and under, duo/trio division. Of the more than 500 entries, less than 15 percent received special judges’ awards, and Kick Dance Studios dancers won for each of their six routines. The teams competed in the 10 and under category. “This was the first time we’ve gone in six years, so to come back after that long and do so well is outstanding,” said Vanessa Berry, owner of Kick Dance Studios. Kick Studio performers won first in category for four different routines, second overall for the musical theater routine “Orphans,” and third overall for “Timeless to Me,” and “I Wanna Be A Rockette.” Dancers also received several special judges’ awards, including ‘Stars of Tomorrow,’ ‘Fun and Fresh,’ ‘Personality Plus,’ Simply Breathtaking,’ and ‘Musical Theater Comedy.’ Perhaps the most flattering of all the judges’ awards was the one of ‘Future Rockette,’ given by an actual Rockette! The Backstage Performing Arts Competition is an industry leader in the dance and performing arts competition arena. The competition is meant to provide a fun, fair and educational dance experience for all participants, and fosters an atmosphere of camaraderie and good sportsmanship. 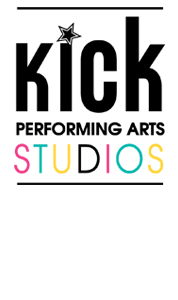 Kick dance school students come to us from Rumson, Fair Haven, Oceanport, Little Silver, Red Bank, Monmouth Beach, Long Branch, Eatontown, Shrewsbury, Oceanport, NJ and beyond.